The Gulfstream Children’s Wellness Program at Memorial Health works to prevent and treat obesity in children and adolescents. Let’s get healthier one veg at a time! Congratulations to all our June team members! 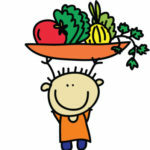 We had two kids participating who ate 14 to 16 new veggies this month! You can start over and track again this month in July. Can you eat the most new veggies this month? Make sure veggies are a part of your summer celebrations! Try adding veggies to the grill this summer. Try adding more veggies to the grill this summer. June is fresh fruits and vegetables month! Learn how to choose the best fresh options and how to store them properly to help them last longer and taste better. OK, everyone! Today is the first day of the challenge. What veggie will you try today?